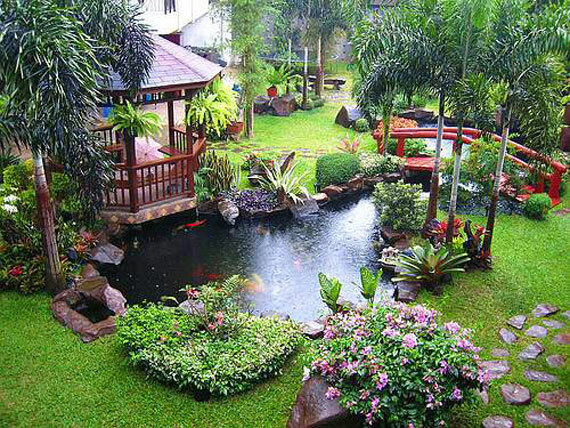 If you’re looking into enhancing the look and feel of your home, you might consider adding a backyard pond. 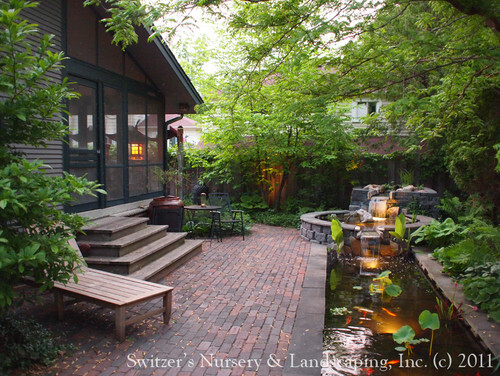 A well-designed garden pond can not only make for a beautiful feature to a backyard, but it can also serve as a peaceful spot, enhancing the warmth of any home. Let’s take a look at the top 10 backyard ponds that are sure to inspire your future design. This modern koi pond design creates an exotic, yet tranquil reflection spot to either relax or entertain guests. 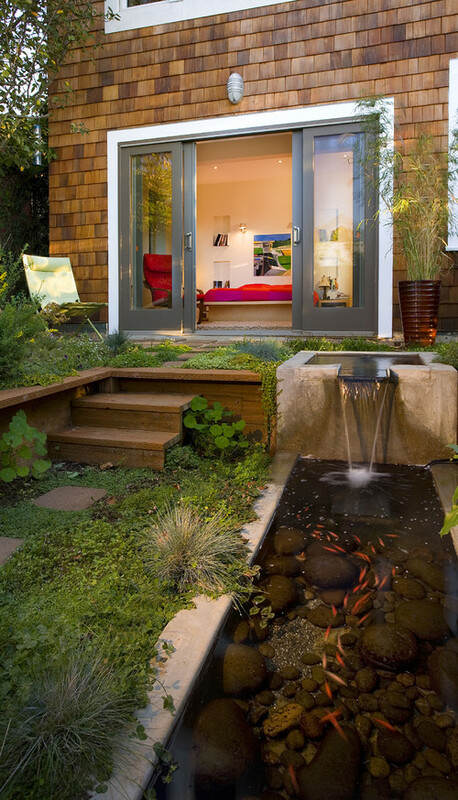 This pond shows how a smaller-sized pond can still be the central focus of the design. Koi fish are remarkable species that for the most part, outlive their owners, so it is important to keep your koi lively and looked after. If you prefer a smaller design with smaller fish, a nice, natural pond will do well to create a natural, calming ambiance to your home, as in the picture above. 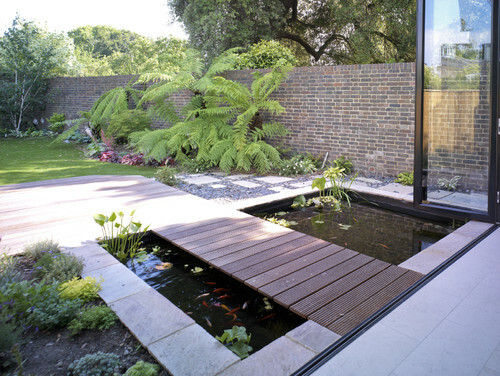 This contemporary design works to subtly display the pond in a sleek, yet organic way. Use playful colors, utilizing outdoor flowers and plants, in your pond design to bring life into your backyard. Using a more subdued aesthetic will also give the pond a more sense of natural landscape rather than a backyard decoration. Asian Landscape by Northfield Landscape Contractors Switzer’s Nursery & Landscaping, Inc. 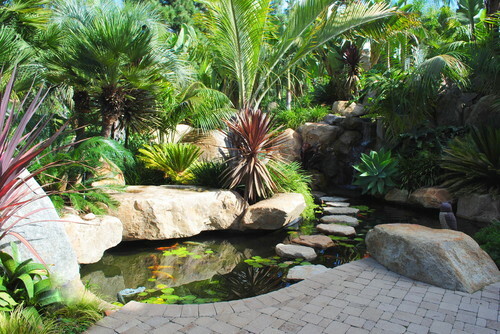 Your garden pond may also follow a theme or classic style, like this Balinese-inspired koi pond. This clean design can clean up the look of your backyard by adding a path or organization to the space. Building a bridge over you garden pond you’re able to admire the fish and closely examine their beauty. This simple design may seem conservative, but makes for a great place to unwind and admire your prized fish. Plus, adding more plants or decorations, either within the pond or surrounding it will enhance this smooth design. Feeling inspired to build a beautiful pond in your backyard? Get the best koi fish feeders and garden fish feeders at Sweeney Feeders. They’re the leading providers of quality animal and wildlife feeders.